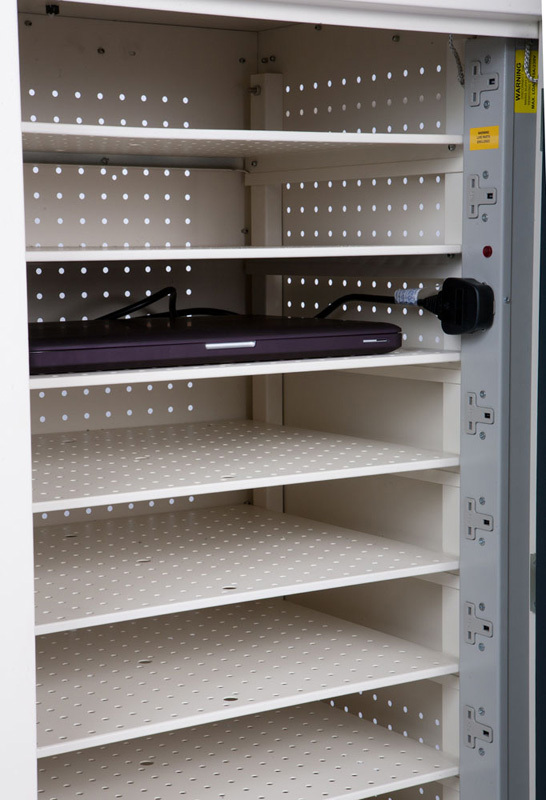 Charging Trolley for the secure storage and charging of 20 netbooks or tablet computers. Inbuilt power sockets accept standard UK 3 pin plugs allowing the devices to be charged safely. Each compartment is designed to hold 2 tablet/netbook computers on each shelf with an electrical point located at either side. 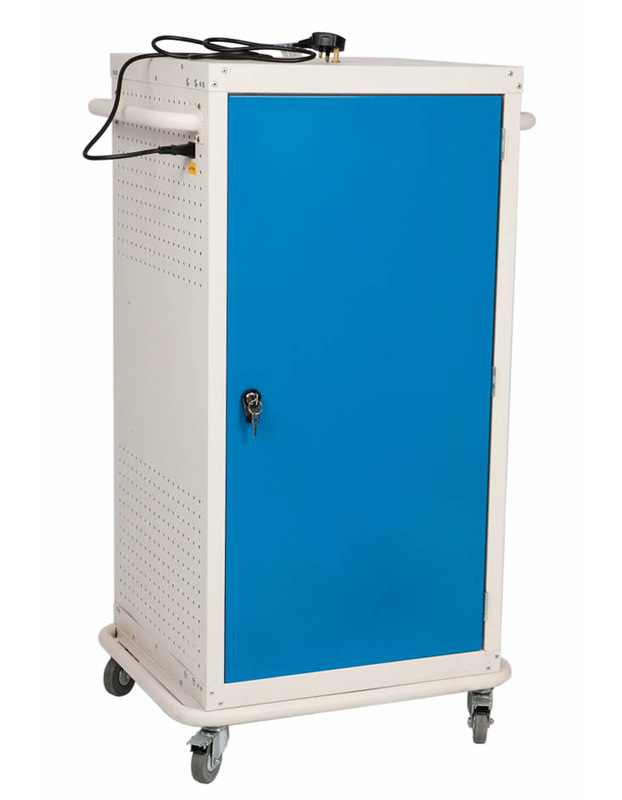 Portable computers can be safely moved from store room to classroom with this cost effective netbook trolley that doubles as a secure storage cabinet. 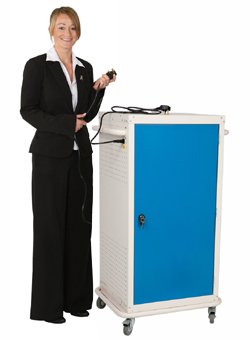 Mobile charging cabinets are ideal for ICT departments in schools and colleges to ensure that all devices remain fully charged.